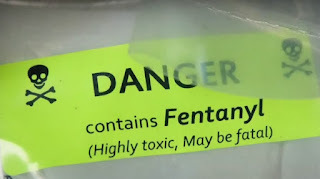 Alain Julien was sentenced to a five-year prison term after he pleaded guilty to being in possession of and trafficking in fentanyl. The charges were based on drugs seized by the police when they carried out search warrants September 1. With time served he was left with a 54-month prison term. The investigation began when a person suffered a fatal overdose while at a bar in Plateau Mont-Royal on August 7. The person was found unconscious inside the bar’s bathroom. At least 17 people died of overdoses in Montreal and Laval during the summer.